Do you work in an accounting department but you are not exposed to the filing of taxes? Are you a qualified CPA but lack practical work experience on tax filing? 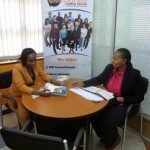 Are you targetting jobs that require you to know how to file KRA returns? Are you a business owner or manager running a company and looking to know how to file your taxes? Are you a landlord and looking to know how to file your monthly Rental Income Tax? Are you a fresh graduate or CPA(K) and want to learn practical accounting skills including how to file taxes. Attend a practical one day training next Saturday where In just 1 DAY you’ll master how to compute and file the right taxes in time, without requiring any assistance from any third party. If you are an accountant you will acquire crucial accounting skills and experience that will make you attractive to potential employers and therefore be able to get jobs when you apply. If you’re an accountant get the expertise to advise your company on tax matters or even find a part-time job as a bookkeeper. If you are in business you will learn how to be compliant with the tax regulations and ensure that you are not paying more taxes. How to file your Individual Annual Income return for the year 2018, whose deadline is 30th June 2019. How to compute the VAT to pay or VAT to claim from KRA. How to determine which goods are vatable and which ones are not vatable. How to compute PAYE (Pay as You Earn) from your employees’ salaries. How to file the PAYE tax online within the shortest time possible before the deadline date. How to file With-holding tax deducted at source. How to compute Withholding VAT, pay to KRA and how to capture the entries in your books. How to file Presumptive tax for your business. How to compute and file Corporation tax. How to apply for a waiver on penalties and interests arisen due to late payment of tax. How to quickly apply and get your Tax Compliance Certificate (TCC). If you want to gain practical experience on how to compute your taxes and file them on I-Tax, register today for the next class. Our 1-day class takes place on Saturday from 9 Am to 4 Pm. Training Venue: This training will be conducted at our Corporate Training Center in Westlands, Mayfair Suites, 4th Floor. Your Investment: K’sh 3,500 for the one-day training inclusive of writing material, notes, tea and snacks, and certificate. Go to Lipa Na Mpesa > Buy Goods and Services & enter till number 89560 then enter K’sh 3,500. You will get a confirmation that the amount has been sent to Corporate Staffing Services. Alternatively, you can visit and pay at our office. Please request to see Barbara. N.B. Due to the practical nature of the training, we limit the number to a few students. Pay today to reserve your seat. Payment Confirmation: After making payment please email the confirmation to the training coordinator Barbara at events@corporatestaffing.co.ke and copy training@corporatestaffing.co.ke and muthoni@corporatestaffing.co.ke. To reach Barbara on phone call 0718-610-023. For SMS texts only use 0739-700-958.